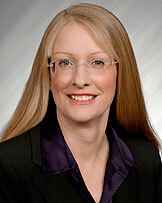 Deborah Pollack-Milgate is a partner in the Barnes & Thornburg Indianapolis office. She concentrates her practice in patent litigation, trade secrets litigation, trademark litigation, and complex commercial litigation, including antitrust litigation, contract litigation and appellate matters. Ms. Pollack-Milgate has assisted and advised clients in a number of complex patent suits across multiple areas including: chemical products, digital radio, adhesives, healthcare, pest control, and insulation products. She has represented clients in appellate matters in the Indiana appellate courts and in federal courts of appeal, including the U.S. Court of Appeals for the Federal Circuit. Ms. Pollack-Milgate acts as outside in-house IP counsel for both national and international clients, assisting with virtually all aspects of Intellectual Property Portfolio management. She assists clients with putting systems in place, from the stage of invention to patent protection and enforcement, which will allow them to fully maximize the value of their intellectual property. During her time at Barnes & Thornburg, Ms. Pollack-Milgate spent an extended stay in Mannheim, Germany, where she worked for and advised an international client of the firm in U.S. litigation and patent matters. She routinely presents in the German language on patent matters, and is the author of BLIPs, a quarterly German-language IP newsletter. Ms. Pollack-Milgate has been selected for inclusion in The Best Lawyers in America and Indiana Super Lawyers for several years and was recognized by The Best Lawyers in America as a 2018 Indianapolis “Lawyer of the Year” in patent litigation. She is a member of the American Bar Association, the Indiana State Bar Association, and the Indianapolis Bar Association. She is also a member of the German-American Lawyers’ Association (DAJV), the German American Chamber of Commerce, and the German Association for the Protection of Intellectual Property. She is a member of the Board of the Indiana Health Industry Forum (IHIF), and a founding member of the Indianapolis ChIPs Chapter, an international organization devoted to promoting women at the confluence of technology, law, and policy. She served on the board of Women & Hi-Tech for seven years and as president in 2013-2014. Over the years, Deborah has moderated panels for various organizations, and is currently a frequent moderator for the IHIF’s monthly Life Sciences Luncheon series.